Remember that delicious Cucumber Spinach Hummus I made yesterday? Well I was sooo excited last night that I had to also use it in my dinner. Hence, hummus chicken! 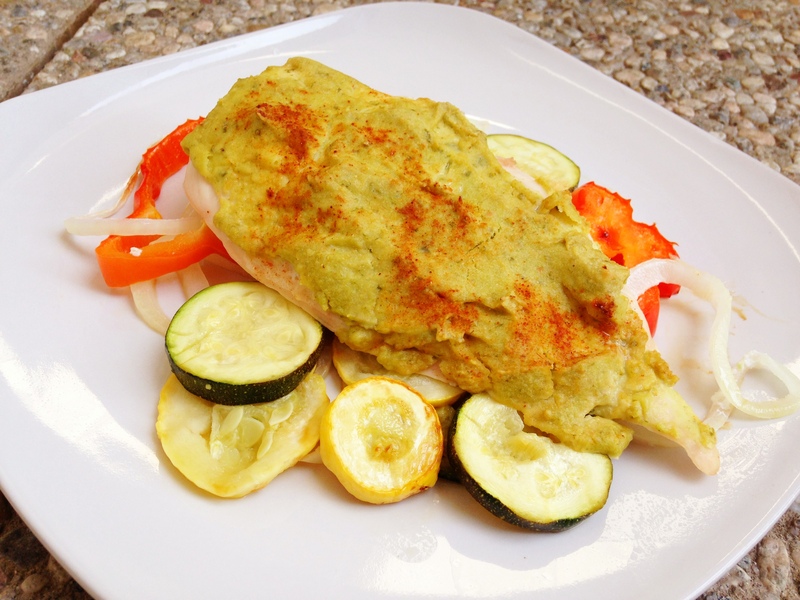 This chicken is so flavorful and easy! The best part is all your veggies cook in the same pan as your chicken! So one pan and your done! Spray a 9x13 pan with coconut oil spray (or any non stick spray). Cut veggies and place in pan. The spray veggies with coconut oil. Take chicken cutlets and cover the entire tops with the hummus. Then sprinkle with garlic powder and paprika. Take the ½ lemon and squeeze the juice over the chicken and veggies. Cook for 20 -25 minutes or until cooked through. 0 Responses to "Hummus Chicken"
Yum! 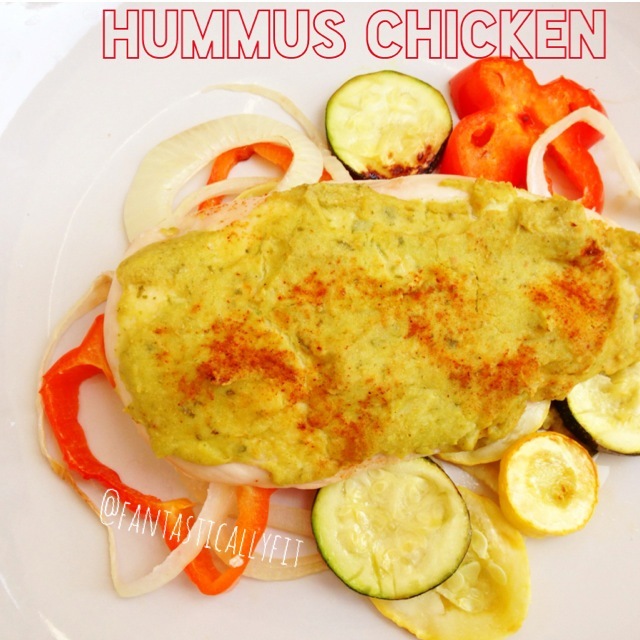 I literally put hummus on everything… need to try this! Yes you definitely should! It forms almost a crust. Let me know if you do!